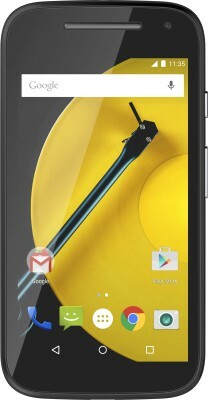 MOTOROLA Moto E (2nd Gen) 3G the best mobile phone from MOTOROLA brand. Here you can find the best and online mobile phone prices. Indianmobileprices help you to find MOTOROLA Moto E (2nd Gen) 3G Full Specifications, prices, Features and reviews. Buy MOTOROLA Moto E (2nd Gen) 3G for the lowest prices and online prices from the top stores like Flipkart , Amazon and Snapdeal. You can also use the cash on delivery (COD) and EMI options to purchase.